At The Perfect Smile, we take great pride in helping get you the right smile you can feel confident with. We understand that having crooked teeth, gaps in-between them or having an overbite can be difficult to endure. 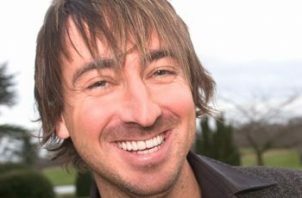 Our specialist orthodontists offer teeth straightening treatments to get the results you want. We’re proud of the wealth of adult orthodontic treatments that are designed for your specific needs or purpose. 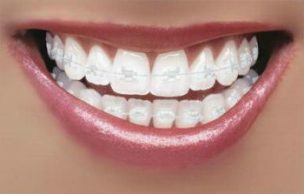 Our clear braces are a popular solution to help straighten teeth despite being a virtually invisible aligner. Invisalign is a leading brand for clear braces and is a dependable, orthodontic treatment. If you’ve noticed that you cover your mouth when you laugh or talk because of your teeth, we offer fast, effective treatments that can help. Our Adult 6-Month Treatment is a tooth-coloured brace that can get your new smile in just six months. Two popular, traditional orthodontic treatments we offer are fixed braces and removable aligners. Both treatments are incredibly dependable to fix crooked teeth and improve the appearance and health of your teeth. We also offer other popular braces methods such as a bite corrector or jaw surgery. Our orthodontists are here to help straighten your teeth. Through our free consultation with one of our leading treatment coordinators, we will be able to understand your requirements and needs. Find out more about what an Orthodontic consultation involves here. Invisalign® invisible braces deliver very effective and fantastic results for straightening crooked teeth. Invisalign® invisible braces are specifically designed for adults. Innovative 3D digital technology to create a predictable outcome for your treatment. No brackets needed to bond to your teeth making this an incredibly discreet treatment. Clear aligners are virtually invisible and custom-moulded to fit and straighten your teeth. Alternative to fixed orthodontic wire and bracket treatment. A very comfortable and painless treatment. The Aligner is near invisible and discreet. 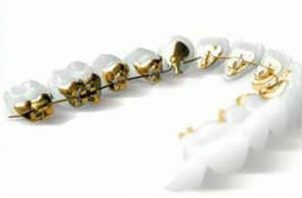 Discreet, tooth-coloured braces designed to get straighter teeth in only six months. Brilliant solution for straight teeth in a short space of time. A permanent retainer is fitted to prevent regression of treatment. An affordable clear brace system. Adult teeth straightening treatment designed to fit a brace on the inner surface of the teeth. Teeth are straightened without the brace affecting your appearance. Latest technology is used to ensure the lingual brace is comfortable. Custom-made from gold alloy to reduce risk of allergy and create a comfortable brace. Common and dependable teeth-straighten solutions that guarantee results. Cost-effective treatments that help straighten your teeth. Fixed Braces is a long-term solution for straightening crooked teeth. Removable Aligners a brace that is removable but delivers effective results. The Perfect Smile offers a range of orthodontic treatments for specific needs and circumstances. Braces designed to fix over and under bites. Effective jaw surgery to help straighten teeth when braces can’t. Orthodontic micro-screws designed to effectively straighten teeth and minimise any gaps. There are Other Cosmetic Options to Straighten your Smile that you may wish to look at including bonding and contouring.